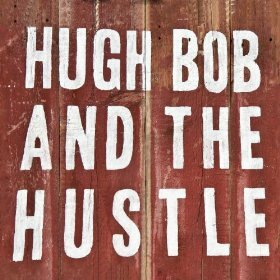 While this Milwaukee-based outfit’s debut came out nearly two years ago, it seems 2014 will be the year Hugh Bob and the Hustle make some waves. Recent outings with country outlaw Sturgill Simpson and Nashville chanteuse Nikki Lane, state-wide gigs including a Summerfest date plus a spot alongside sharp-witted country-rockers Cracker at July 25th’s Live at King Street makes it hard not to run into these rip-roaring prairie rockers whose road warrior ways have honed their already awesome skills into a well-oiled machine doling out bronco-busting riffs and greased-lightning licks.. Crisp harmonies flavor robust chops as lonesome notions blend smoothly into rousing good times; popping woeful country hopes next to prickly rock-a-billy sticklers, HB&tH’s self-titled self-release roasts and toasts rollicking honky-tonk romps and twang-wrangled heartache.